Sage Zbinden | Banner Harrison Kingsley, freshman business management major, strikes the golf ball during CBU golf practice. 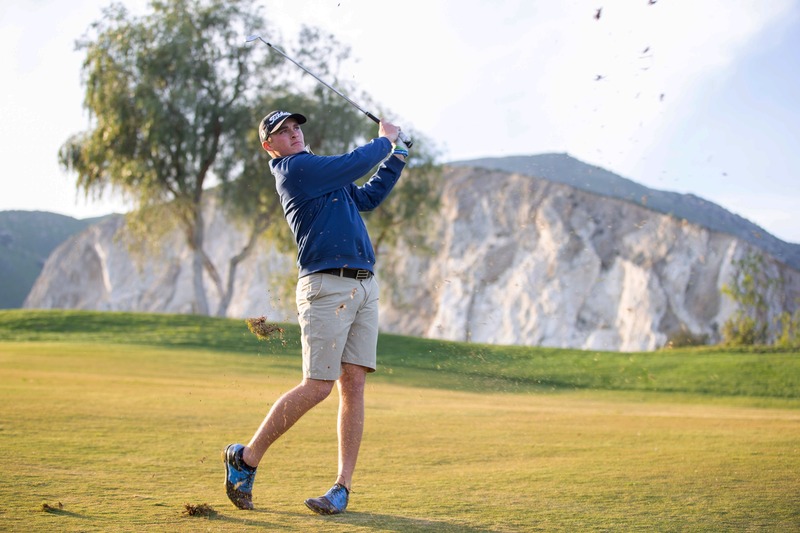 California Baptist University’s men’s and women’s golf teams started their spring season Feb. 11. With men finishing fourth at The Farms Intercolligiate in Rancho Santa Fe, Calif., and the women finishing seventh at the Battle of the Rock tournament in Riverside. Sunny Wang, senior business administration major, said the women’s team found room to improve after its first golf tournament. However, Marc Machado, head coach of women’s golf, said he is proud of everything the team has accomplished in its first DI year. Brown said the men’s team is looking great, but there are improvements that can be made by each golfer to win individually and also benefit the entire Lancers team. Brown said aside from helping the team, the golfers also want to be in a position to be a champion. He said the key to the team’s success this season is to improve the mental aspect of the game. “The teams that are beating us (in The Farms Intercollegiate) probably aren’t more talented than us, but they are just a little stronger emotionally,” Brown said. Brown said mental preparation is crucial. If the team can improve that aspect of the game, Brown said the team will grow even more. The women’s team will head to Utah March 14 and the men will head to San Fransisco March 11 for their next tournaments.